The practice of immersing children in nature from an early age has long been popular in the Scandinavian countries, not the least through the tradition of “forest schooling.” Now the concept of learning in nature is finally starting to catch on in the U.S. And with good reason – for young children, the benefits of forest school are both plentiful and profound! The original Scandinavian forest schools are preschools and day cares where children spend most of their day outside, every day, regardless of the weather. Unlike most American preschools, the focus of this type of early education is not to teach academic facts, but to give kids the opportunity to play freely in nature. There are no behavior charts, curriculums, worksheets, letter writing exercises or word walls, and the activities are child-centered. The teachers view themselves as “co-discoverers” and guides who explore and experience nature alongside the children. Photo courtesy of Inch by Inch Preschool. If you think that this sounds like a lot of fun, but secretly wonder if the kids actually learn anything, then keep reading. 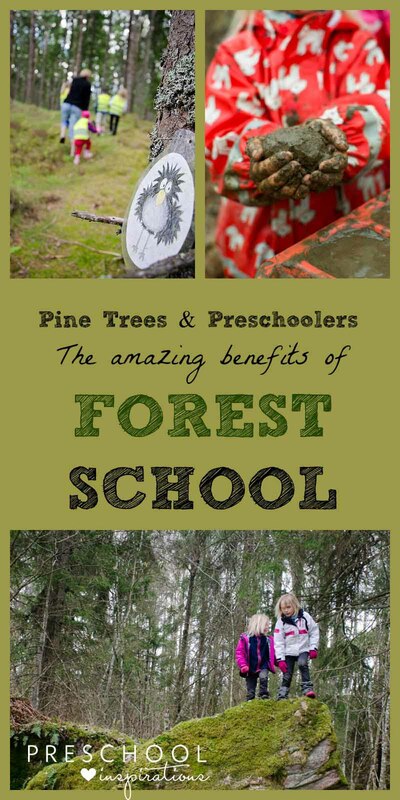 In the age of kindergarten readiness and standardized testing gone wild, forest schools offer an opportunity to build important physical, social, cognitive and life skills that pave the way for academic learning later on. While the children are regularly exposed to traditional disciplines like science, math, physical education, literature, and art, all learning happens organically through inquiry and direct experience, rather than teacher-led lesson plans in a classroom. This gives the preschoolers a chance to do what they really excel in – learn through play. 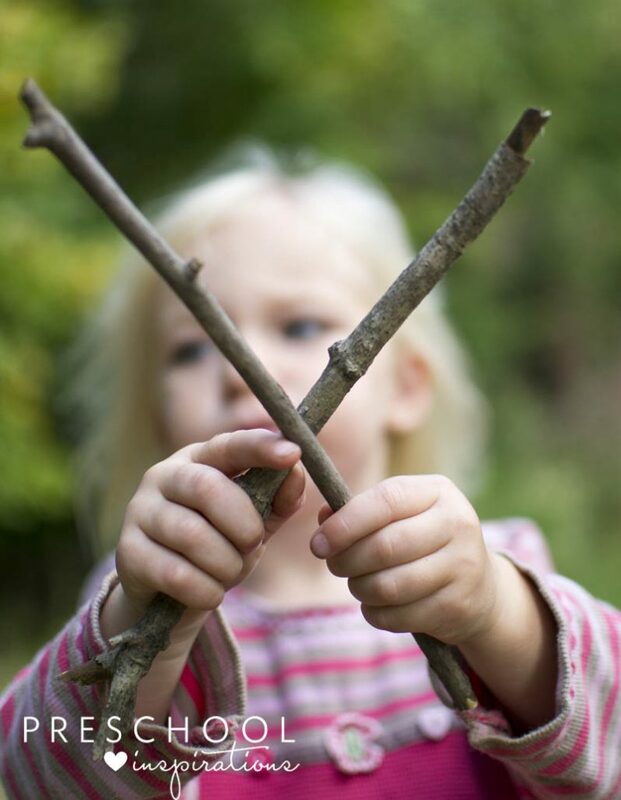 Meanwhile, forest school teachers report that outdoor learning boosts problem-solving and critical thinking skills. They also believe it helps children figure out how to respond to challenges, overcome fears, and work with others – skills that are transferable to the classroom and help the students become successful later in life. Forest schools originated in Denmark in the 1950s. Sweden followed suit in the 1980s, and since then they have popped up all over the globe under different names – waldkindergarten in Germany, bush kindy in Australia, and nature preschools or forest kindergartens in the U.S.
As recently as ten years ago, there was only one forest school in the U.S., Cedarsong Nature School on Vashon Island in Washington state. Today, there are over 200 nature-based preschools in the United States, according to the Natural Start Alliance. Not all of them are true Scandinavian-style forest schools, but all recognize the role of nature and outdoor play in early childhood. Despite this growth, forest schools are still a long way from being available to everybody, as onerous regulations and the risk of litigation make it extremely difficult to start forest schools in some states. Hopefully, this will begin to change as more and more parents and teachers are starting to appreciate the power of learning in nature. The good news is that you still have a lot of options if you want to incorporate forest school principles in your child’s life. 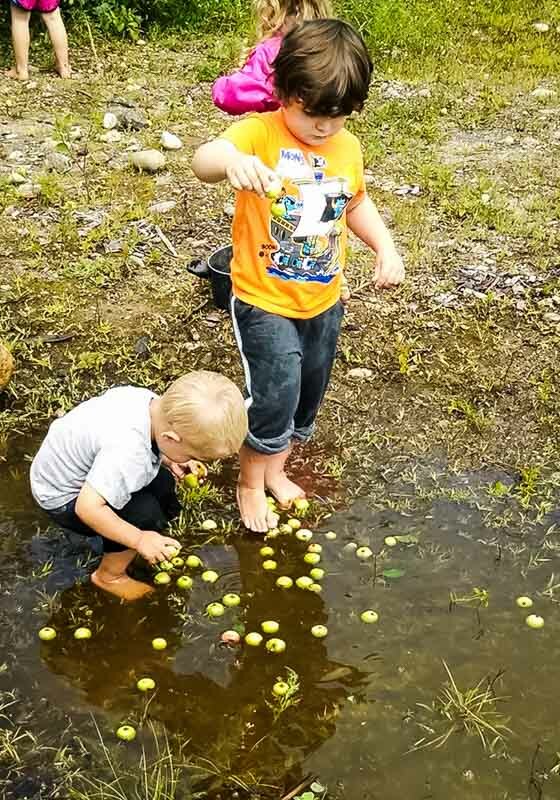 Nature-based homeschooling curricula are becoming more and more commonplace, and many families join family nature clubs or play groups to give their children positive experiences in nature. And trust me, the more time you let your kids play freely in nature, the less likely you are to ever wonder about the benefits of forest school. Hi I work at a nature center but their are still a lot of old preschool expectations with work sheets but I am trying really hard to change the old way of thinking.